The lengths that people will go to to try and put one another down is sometimes incredible. 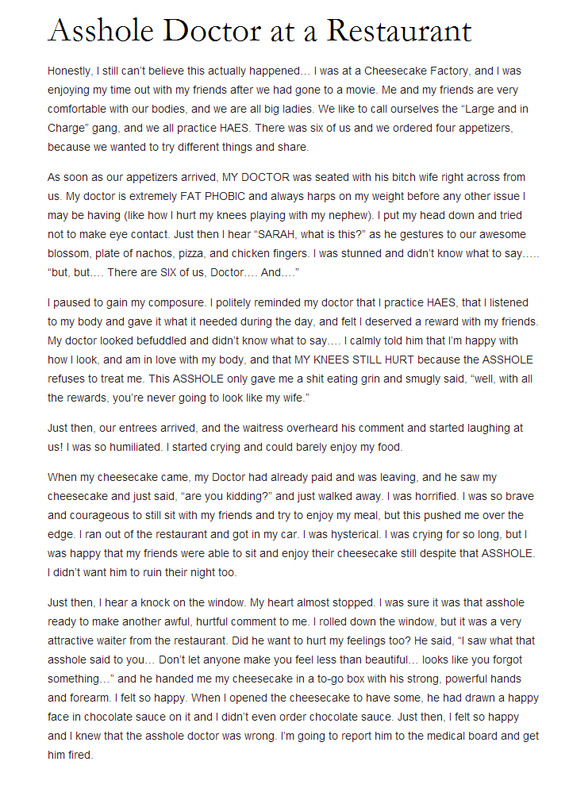 Apparently this doctor thought a public restaurant was the place to insult one of his patients about her weight but one of the waiters there wasn’t having it. Amazing story and I’m glad there are good people like this waiter in the world to balance out the ones obsessed with putting others down.